How to move a Godaddy SSL Certificate to new host? 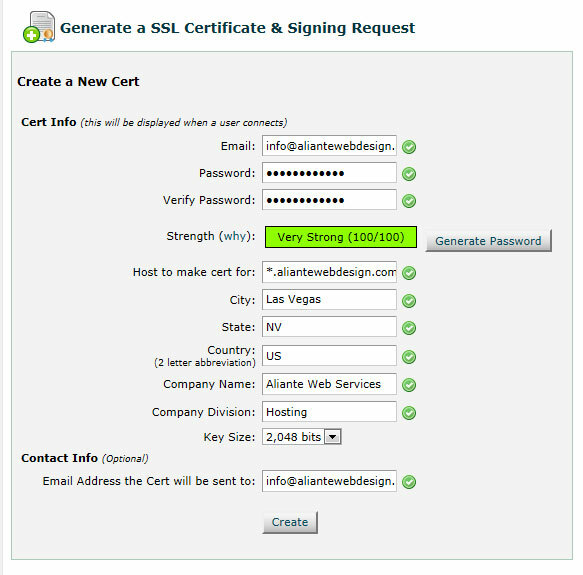 Login into WHM and click SSL/TLS >> Generate a SSL Certificate & Signing Request. Keep the SSL domain or subdomain the same as you original had it. Note: If you didn’t select *.YourDomain.com then next time write it this way because you will be able to use for your domain and any subdomain you create. We use Godaddy just because they have pretty good customer service support, always running a special and they will be in business for the forseeable future. However, there are a number of other good third part SSL providers. After logging into your account goto the your SSL Certificate and click on re-key. Paste the CSR into this section, hit submit and download files. Unzip the your SSL cert and open it up in notepad. Godday usually has more than one file when unzipped so the one you should open is usually the gd_bundle. However, if you do not know which file your cert is located in then open each file until you find the one that reads “—–BEGIN CERTIFICATE—–“ Select all and copy. Last step! Go back WHM and click SSL/TLS >> Install on SSL Certificate and Setup the Domain. 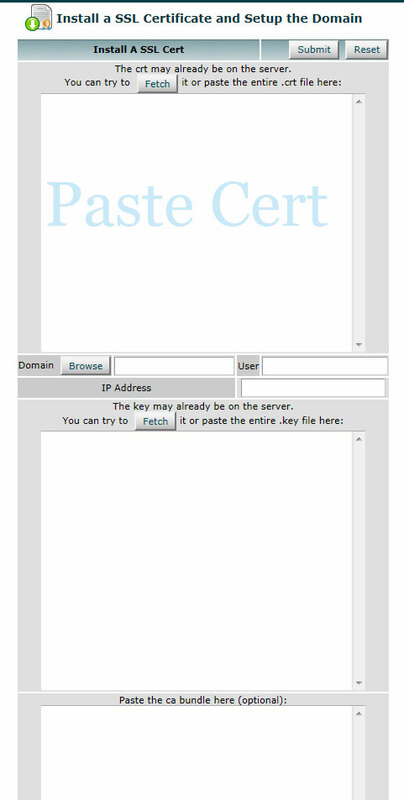 Paste your certificate from your notpad in the CRT box (usually the first box). You may also have to type in your SSL domain (subdomain) and hit fetch. The rest of the info (key) is automatically generated. So click submit and you have just installed a SSL certificate. See below. If you found this article helpful you have our permission to link back to our website – Aliante Web Design – as a reference. The solution: Change the mod_php. 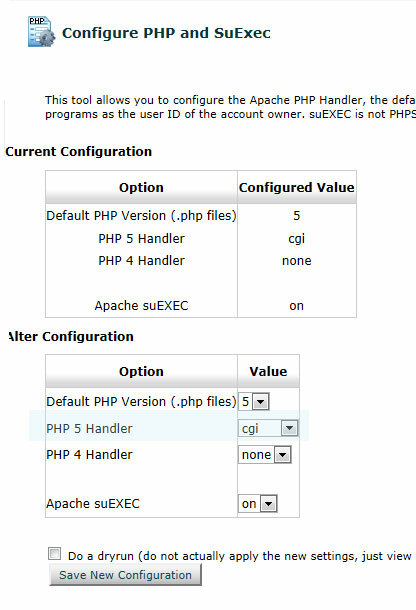 Login into WHM and click the following Service Configuration >> Apache Configuration >> PHP and SuExec Configuration. Change it to CGI. That’s it.